The dating universe can be quite frightening and even tiresome for most people who are in it for longer periods of time. Dating can be lots of fun and enjoyment, but it can also be a nerve-racking experience, seeing that you have to be really careful most of the time. When you have a health condition, dating can become a real problem because you are even more aware of your issue and you’re going on dates with the omnipresent doubt that someone won’t like you because of your health problems. This is where online dating comes into play. If herpes is a part of your life, then you know very well how hard it is to speak about it with someone you like, especially for the first time. It can get uncomfortable and painful, not to mention the chances of things not ending well for you. Herpes online dating is an excellent intermediary that connects people with herpes from all over the world. Online dating has brought a completely new perspective to dating in general and it makes everything so much easier for the parties that would like to know each other better before going on an actual date. If you’ve been living with herpes for a while now and want to date and meet new interesting people that can potentially become your partners, then there are some valid reasons for trying out herpes online dating. First of all, you’ve got nothing to lose, and we mean this in the best possible way. The only thing you need to do is create a profile, upload a good photograph of yourself and you’re ready to sail off into the world of online dating. Creating a profile can only do you good because let’s face it, who wouldn’t want to join a community of thousands of singles ready to have fun? There are plenty of herpes dating websites out there and all you have to do is take your pick. The second thing you should bear in mind is that you don’t have to worry about how you’re going to break the herpes news to your potential significant other because everything is already out in the open. You joined the same community because you have herpes in common. Knowing this eliminates the unnecessary pressure, as you won’t have to worry whether your date will see you in a different light after you tell them about your condition. It also enables you to be yourself from day one. Online dating is great if you are on the shy side and you need some time to gather what you’re going to say, so thank god for instant messaging. Once you think you have found someone with whom you can have an interesting conversation, you can use live video chatrooms so that you would actually see each other in real time. Not only can you meet a lot of new people that might not even be from your continent, but you can also easily find someone special and start a meaningful relationship. Though dating websites are primarily used for finding dates, that doesn’t mean you can’t find some to talk to, meaning these sites are also a great place for making friends. Online dating also increases your odds of finding a potential match in the herpes dating community, which has thousands upon thousands of members. You already know you’re both in the same boat and further communication will help you establish just how much you like each other. You can also use filters, which are basically options that help you find someone you really like, based on your common interests and hobbies. This is a significant advantage as opposed to everyday dating, where you might like someone, but you haven’t got the faintest idea whether they’ll appreciate your stamp collection or simply mock it. 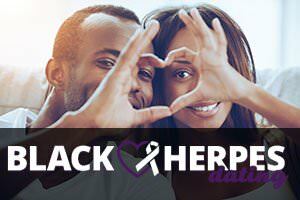 Herpes dating websites make it easier for you to find your potential match and dare we say it, much more than one. Some would argue that online dating is impersonal and that you can never be sure who’s typing back from the other side of the screen. While that is true, the pros definitely outweigh the cons – online dating it’s fast and easy, stress-free, and fun.